Responsible pet ownership is probably the most overlooked yet most important aspect of owning a pet. There are many factors that go into owning a pet from deciding which type is right for you to proper disposal upon its passing. Responsible pet ownership is a beginning to end and every day issue one must take into account when becoming a pet owner. When deciding on whether or not you wish to own a pet you should take into consideration the time you have available to provide attention to that pet, the environment it will be living in, your family dynamics, and expenses involved in ongoing pet maintenance. Choosing a pet IS NOT AN ISSUE TO BE DECIDED UPON TO CONFORM TO A FAD OR AN ATTEMPT TO DEVELOP OR MAINTAIN AN IMAGE. A PET IS NOT A BABYSITTER FOR YOUR CHILD. If you are wanting a pet but will not have much time to spend exercising it, you should choose a pet like a snake or spider. Snakes and spiders make excellent pets for those with busy lifestyles. Snakes require very little exercise and can often go for long periods of time between feedings based on type. If you wish to own a dog you should do some research on the characteristics of different breeds and find a breed that matches your lifestyle. It is unfair to expect a dog to conform to your lifestyle simply because it may be the breed you want. Both you and the dog you choose will have a much happier and rewarding relationship if your lifestyle and its breed characteristics parallel one another. When choosing a method of confinement, take into account your dogs physical characteristics. Short-haired dogs should not be left out in the cold and long haired dogs should not be left out in the heat. Although there are many methods of confining your dog, tall privacy fences and indoor dwellings are preferable. 50% of all dog attacks happen on the owner's property. An overwhelmingly large percentage of these attacks occur when irresponsible children intentionally trespass, and in some cases, antagonize the dog. If you have children, as a responsible parent, it is your obligation to educate your children to respect other's property, belongings, and animals. No matter what type of confinement method you use, proper confinement is a necessary part of responsible pet ownership. Remember this is your pet and not your neighborhood's pet. DO NOT LET YOUR PETS ROAM. THE MUTLY OFFSPRING OF NEIGHBORHOOD INDISCRETIONS ARE UNNECESSARY AND ARE PUT TO DEATH DISPROPORTIONATELY IN SHELTERS AND POUNDS. ALLOWING A PET TO ROAM YOUR NEIGHBORHOOD IS THE HIGHEST FORM OF PET IRRESPONSIBILITY. If you will not be breeding it is advisable to have your pet spayed or neutered preferably before 6 months of age. There are millions of dogs and cats that die unnecessarily every year in shelters and pounds. Spaying and neutering can help eliminate the problem of unwanted breeding. Spaying and neutering (especially before 6 months of age) can have many health benefits. To learn more about spaying and neutering please visit our health issues section. If you will be breeding please read our section on Responsible Breeding. When it comes to health care make sure that your pet meets all the required vaccinations for your area. Vaccination is the key to your pet's long-term health and happiness free of disease. You can find a vet to do this using our Veterinarian Locator or if you feel comfortable in doing basic health care can obtain such information from your local Co-Op. Maintaining a healthy and balanced diet is also a necessity to proper pet health. When buying food make sure it is nutritionally well balanced. Some dogs do well on scraps from the table, others do not. 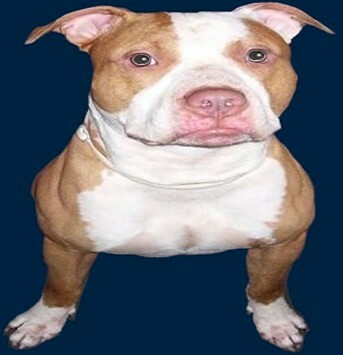 The Pit Bull in general seems to be one breed that does well digesting table scraps. However, every dog is unique and maintaining proper dietary control is essential to promote a long and happy life. Water is essential to all life, and most importantly to your pets. Make sure your pet has plenty of fresh water daily. Training and socializing your pet to other animals and humans should be provided regularly. A properly trained and socialized pet is much less likely to cause harm to others. 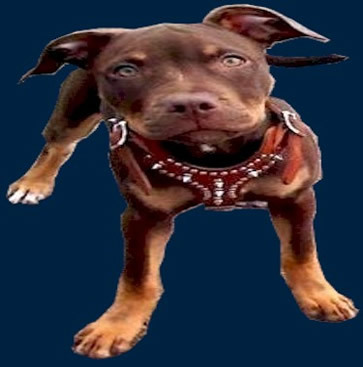 Proper training and socialization can also assist you in communicating with your pet more effectively, which will relate to a stronger and more rewarding relationship for you both. When disposing of a pet who has passed on, make sure to follow regulations for your area. Never flush fish. When burying a pet that has passed on make sure the grave is of sufficient depth to discourage opportunistic feeding by scavengers.